I have to admit something dangerous to you. Up until about a week ago, I had never seen Jaws. My dad was scared by it when he was younger, so he always avoided it when it was on television or when we were at a video rental place. And then I continued to avoid it as I grew up, because it came with such a high-profile that I didn’t want to admit to myself or anyone else that I had never seen it. But it is true. I had never seen Jaws. However given its reputation, I had seen enough iconic scenes to know what to expect… Or do I? 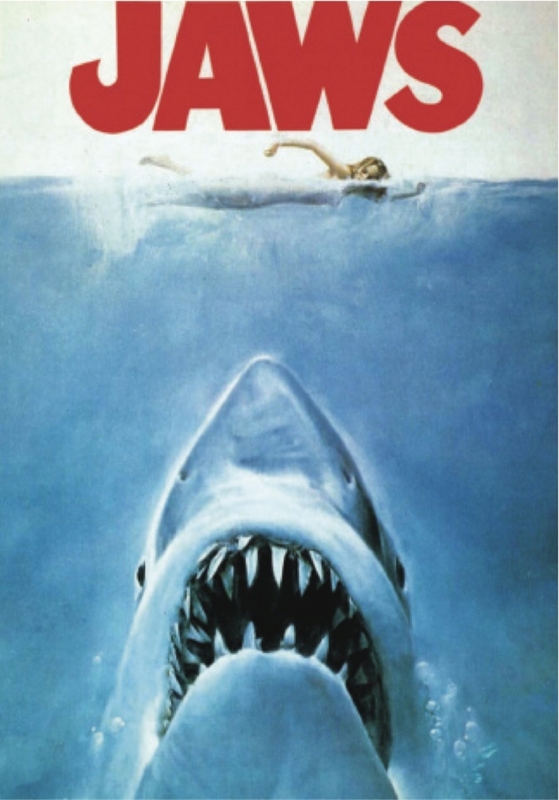 I am sure almost everyone is familiar with the story of Jaws. An intrepid police chief, a scientist and a crazy boat guy set out to the sea in order to hunt down and kill the biggest shark that has ever lived. There are tons of deaths, red water, witty lines and earnest gusto. I know what I am saying is heresy and you will probably throw tomatoes at me, but I actually have never been a huge fan of Spielberg’s work. I feel like he makes overwrought, weepy epics that don’t really add up to anything magnificent. That isn’t to say that I hate all of it, just that I feel like he is an overrated director on par with (brace yourself) George Lucas. Of the New Hollywood directors, I tend to lean towards Coppola and Scorsese because they embraced their gritty natures, and produced films that called upon their favorite movies while also putting a twist on them that makes them interesting. I feel like Spielberg and Lucas were unable to make something unique so they looked to the past to make up for it. They both ended up making nostalgic epics that captured the hearts of many Americans, but this American’s heart has yet to be subdued. Give me the grit and ultra violence of Scorsese or Coppola over the sanitized nostalgia of Spielberg and Lucas.